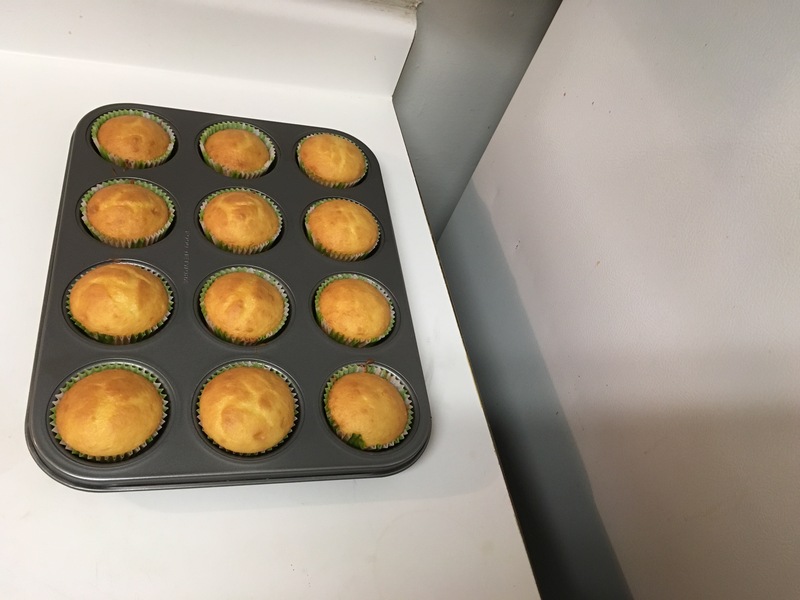 I made cupcakes over the weekend, and my husband and I could not stop eating them! They were the best cupcakes I have ever had, even though I might be a bit biased because they were the first cupcakes I have ever made. So, let me tell you how I made them. I would have made chocolate cupcakes (77-522) because our chocolate cake mix is my favorite, but I made a chocolate cake the other weekend. 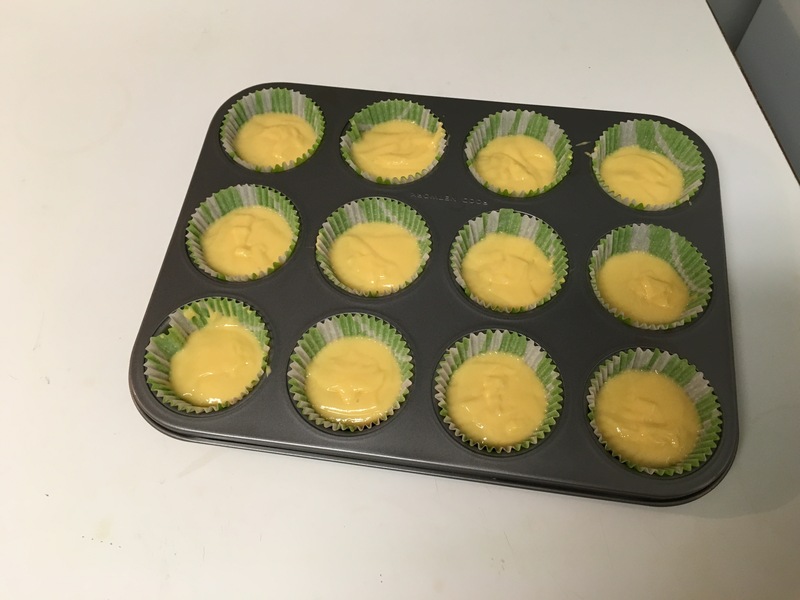 So, I wanted to try something new and used our yellow cake mix instead (77-542). YUM! Since I’m a novice baker, I actually didn’t have any spatulas in my apartment! So, of course, I had to get some from CK and they are the BEST spatulas ever! They’re silicone, which means they can stand temperatures up to 600F! Perfect for chocolate making too. I got the spoon spatula (35-6639KW), and the regular spatula (35-6637KW), in my favorite color, green. Mix the same way you do the chocolate: 1 bag of cake mix, 3 large eggs, 1-1/4 cup water, 1/3 cup vegetable oil. Mix well for one minute or until it’s well blended. Fill your baking cups 2/3 full. Any more than that and you’ll have muffins instead of cupcakes (which isn’t really a bad thing but they don’t look very pretty). Depending on your oven the baking time is 20-25 minutes. My cupcakes were done in 25 minutes. Now the fun part! DECORATING! Make sure the cupcakes are cooled COMPLETELY before decorating, you don’t want your icing to melt. Remember, I’m new at this so it took me a minute to figure out how to work a decorating bag. Put your decorating tip at the end of the bag, then cut off the tip of the bag. Easy! Then I used my spoon spatula (35-6639KW) to fill my decorating bag, then twist the end to get the air out, and done! I made 2 dozen cupcakes from one bag of mix, and it took me 23 cupcakes to get the hang of what I was doing! So, in the end, I had one perfect cupcake and 23 cupcakes to eat instead of showing off, but hey, I’m learning and they were delicious. Make sure you follow our blog for more scrumptious recipes, tips, and fun! Bake for 20-25 minutes. Note: Baking times vary with ovens. Pumpkin Spice Everything is BACK! Talking Candy Bars – Probably the Coolest Thing I’ve Seen Yet!